Welcome to JG Technologies Ltd. Weymouth, Dorset, U.K. Please ask if you need anything specific, items can be quickly added or you can call or skype us for quotation and stock availability. 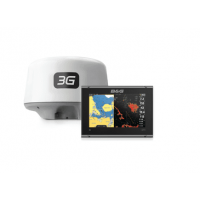 B&G Vulcan 7R 7-inch chartplotter and radar display with Broadband 3G™ radar.Part Number: 000-1..
Raymarine Evolution Hydraulic Pilot with p70s head and 0.8Ltr pump For boats with a displacemen.. The Lowrance HDS-12 LIVE with Active Imaging 3-1 Transducer offers the best collection of innovati..